There is nothing worst when camping than having a fly or mosquito buzzing around your ear when you are trying to sleep, unfortunately when you don’t have a screen on the door it becomes a nightly ritual, swatting flies and mosquitoes before crawling into bed. But there is a solution, in fact I will provide three options that are detailed below, each one requires a different skill and gives your Boler a different look. The first screen door solution is not only very effective, in my view it also looks the best. I am not sure why or how they work, maybe it is the movement of the beads in the breeze, but it works great, this is what I personally use on my Boler. These are also very easy to make, the most difficult part is finding beaded curtains, especially ones that look good. I found the beads in the picture in our local Kijiji (Craigslist), but a little searching on the internet should identify a number of sources. No matter where you find the beads, modifications will be needed to make them effective, the spacing between each string of beads have to be very close. The curtain I bought were over six feet wide but had the bead strings spaced at two inch intervals, the curtains were also about seven feet high which is far too long for the Boler doorway. The modifications will depend on the curtains and beads you buy, I will describe what I did. The finished beads need to be mounted to a wooden header that is mounted above the door by drilling out 3 rivets from the rain deflector over the door and attach the wood using wood screws and sealant. As I mentioned the wooden beaded curtains I bought were six feet wide and over six feet high, the first thing I did was to cut each beaded string from the wooden header they were tied to, I removed beads from each string to end up with the correct length for each string (I will measure the length once I get my Boler out of storage this spring). Any reasonably sized piece of wood can be used as the header, I used a 1″x1″ and cut it to length to fit with one end against the closet and the other end a few inches past the door opening . 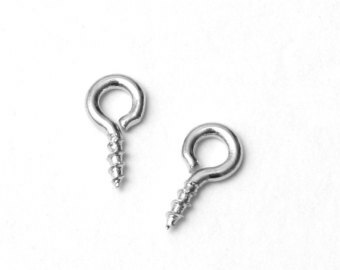 You could just drill holes through the header to tie the bead strings to, I used screw-in eye hooks spaced 1/2″ apart. 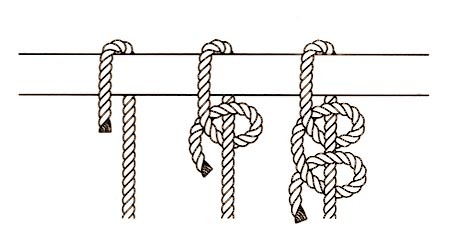 Mark 1/2″ spacings along the entire length of the header and drill a pilot hole in the center of the wood for each eye hook, screw each hook in and then tie each bead string to an eye hook. On my curtain there was a pattern which meant I had to keep the strings in order, layed out on our living room floor. To tie the string I threaded each string around and through the eye twice then tied it off with a double half hitch knot. The final step is to mount the curtain into the door opening. Using a 1/8″ drill bit carefully drill out two outside and one center rivet from the drip cap over the door. Position the wooden header strip so it lines up to the center of the mounting holes and drill pilot holes. using either nickel plated or stainless steel #8 wood screw apply some sealer to each hole and tighten the screws securing the header to the inside of the doorway. 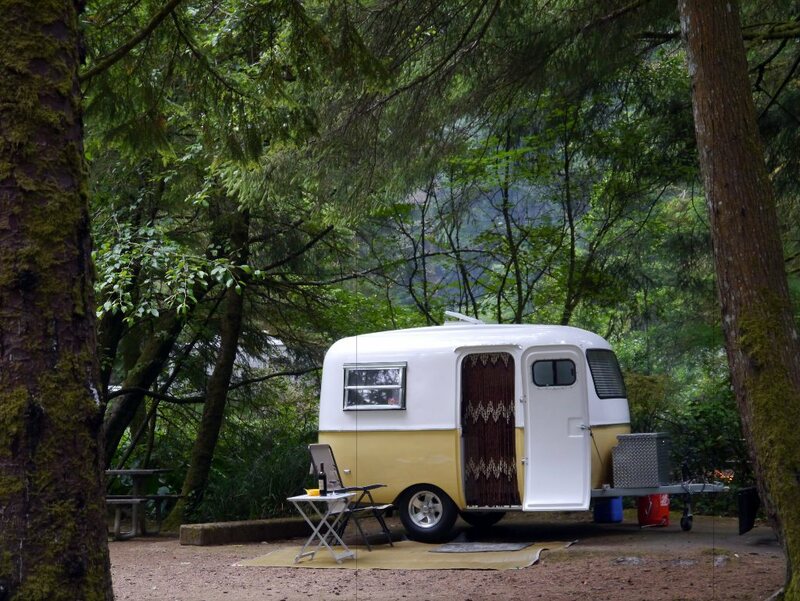 Now you can enjoy a bug screen that matches the vintage appeal of your Boler, mine have works flawlessly for the past two seasons, they have kept all the bugs out with the exception of one campground which had a large population of wasps. The wasps would land on the wooden beads, probably thinking they were a good source od nest building material, the breeze would move the beads and a few wasps ended up inside. 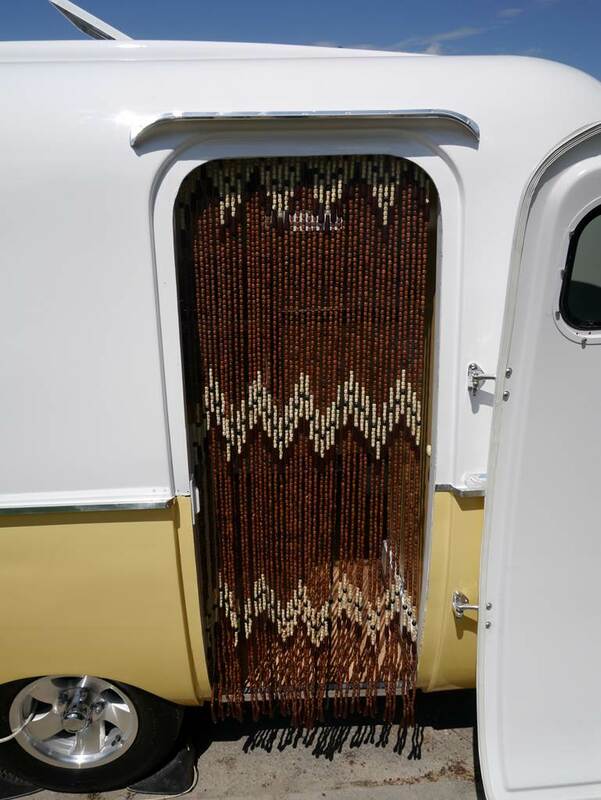 I am sure the Shopping Channel had no idea their magnetic screen door could be used on a small fiberglass trailer. I initially installed and used this system for a year, and although it does work well it also has some drawbacks, you will have to decide whether the advantages outweigh the disadvantages. 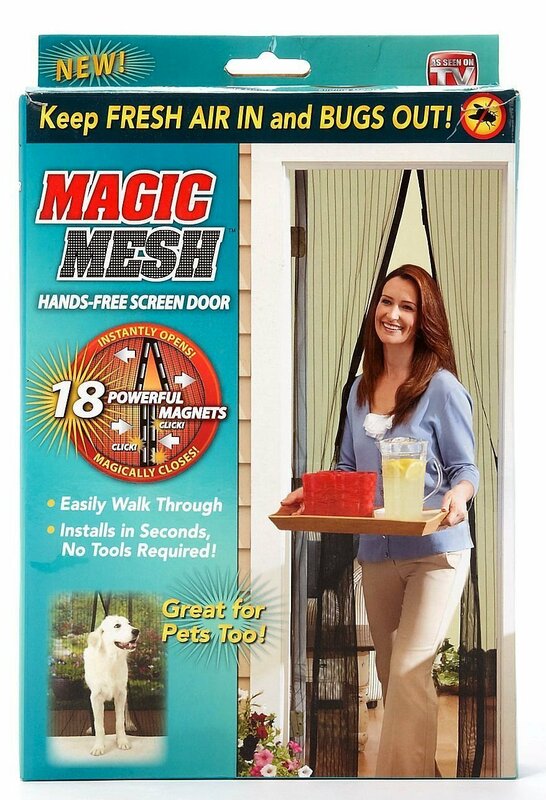 Magic Mesh is the easiest to make, as long as you have some basic sewing skills as the Magic Mesh panels need to be made smaller to fit the door opening. To maintain the finished edge on the bottom you will want to shorten the panels from the top, you will also need to make each panel narrower. The key to making this system work well is to sew a 1″ band along the top that joins both panels together, this will ensure the magnets line up and snap back together. On the outer edges and top attach heavy duty 3/4″ wide Velcro (use the self-adhesive peal and stick type), one side of the Velcro can be attached to the inside of the doorway, while the other side is sewn to the top and sides of the joined panels. So the question remains “how do they work”? They do work as intended, they keep the bugs out and when you walk through the doorway they “snap” back together behind you, it is actually quite cool, but I found a problem I found frustrating. 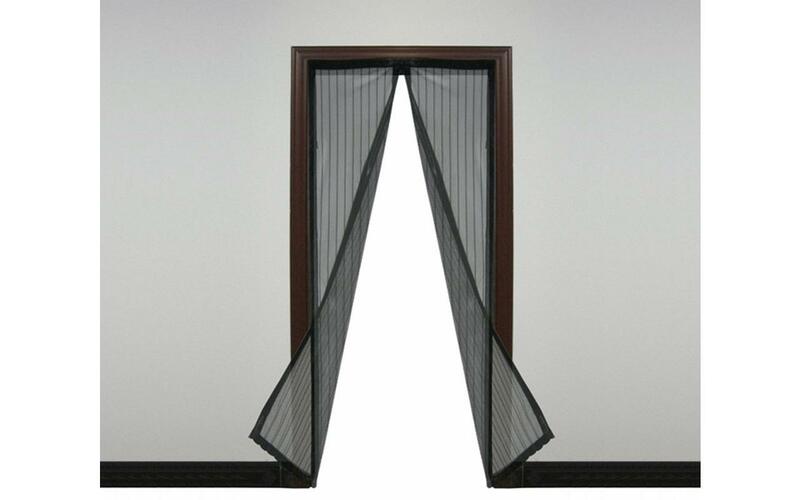 Since each panel is fastened along the top and each side, this restricts the center opening which will not open very wide at the top ( see picture below). 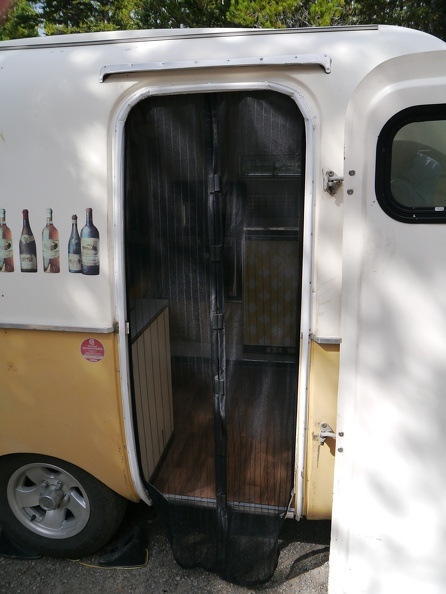 I am not a big person but neither is the Boler doorway, this solution makes the doorway even smaller at the top which I found awkward, especially when carrying items in and out of the trailer. This option is far more complicated. It is taking me a little longer to write the detailed plans. That is exactly the version I am documenting. 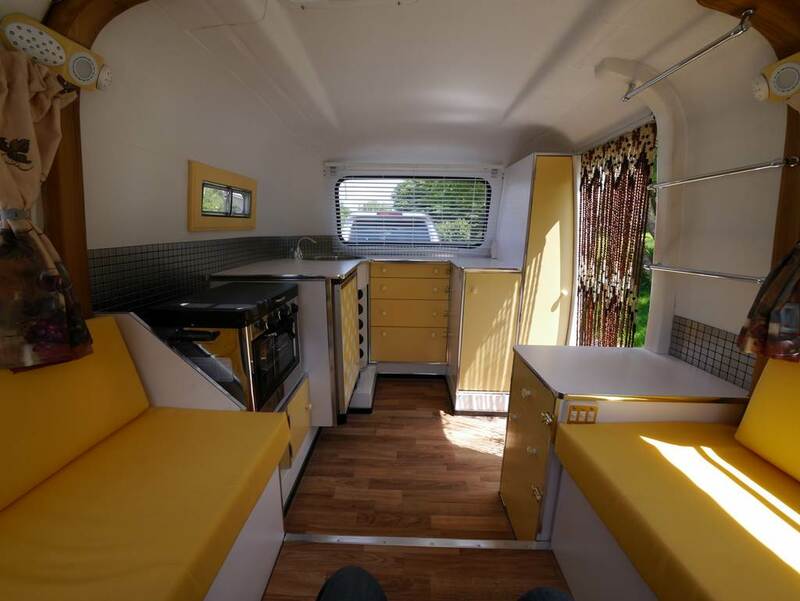 There are several examples on the internet but the bifold is by farthe most practical version for the Boler. Have you had a chance to put this bifold door project together yet? Sorry, I have not yet …. that work that pays the bills keeps getting in the way of important and fun things like this. 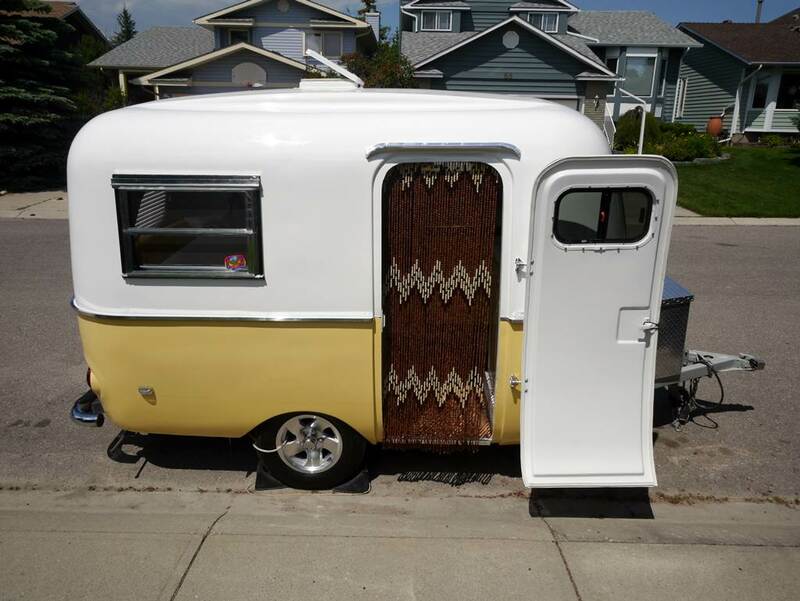 We just bought a 1979 Boler 1700 and the previous owner’s son was a rep for Phantom Screen. Its a mesh screen with a magnetic closure on one side and a very slim spring loaded case on the other that the whole screen retracts into. It’s like a roller blind mounted vertically. The bottom edge slides on a track, and even if the screen gets pushed out a little (which our young daughter did the first time by accident), retracting the screen puts it right back in place. The whole assembly takes up maybe an inch of door width, and it really helps keep out the bugs! We love it. 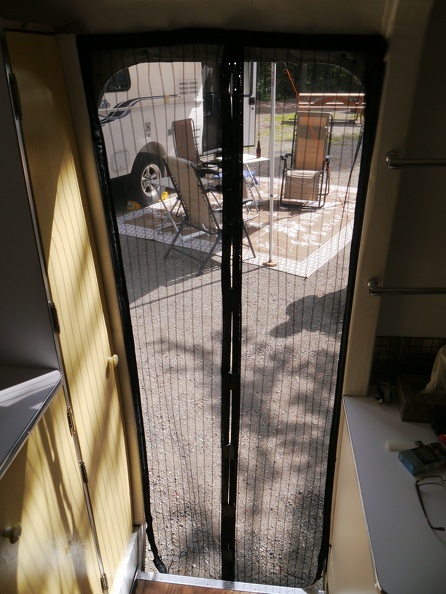 Our Escape 19′ trailer uses a similar retractable screen and it works very well.